Logan and Nadia have been through a lot. After Nadia found out that she's a carrier of the virus they've been very cautious. They went from town to town until they finally find a peaceful place to stay with Martin and his group. When an old friend of Nadia arrives as well they can't hide Nadia's secret any longer. They also need to team up with other survivors to fight off a brutal group of malicious men. At Logan's previous camp, Max is struggling to keep everything going and now that a war is at hand he needs all the help he can get. 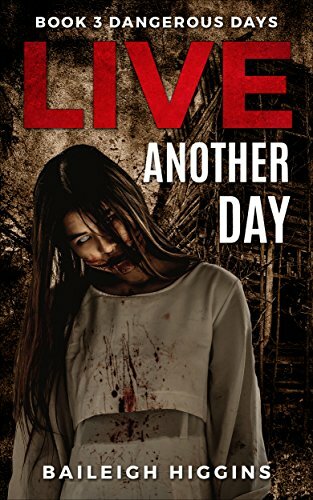 Can they survive an attack of vicious killers? Ke Tau and his group won't back down for anyone. They thrive on fear and pain and all they want is total control. They've been killing the men who won't obey their commands and are using the women to serve their every need. Inside their camp a rebellion is slowly forming. Ke Tau has found Max's camp and wants to take over by using force. Max has women and children inside his walls and they all need to think fast to come up with a way to win this war. Will help arrive in time, so they can gain enough strength in these desperate times? Now that the world has fallen apart, the walking dead are not the only ones to fear. Malicious groups are after complete control and the kindhearted people who have survived this long are in for the fight of their lives. I loved to read more about the people who have lost so much already and still manage to make a living. They're there for each other every day without judgment. Ever since Last Another Day, the first book in the Dangerous Days series, I've given them a special place in my heart and have been anxiously wishing for them to survive. Live Another Day is a heart rending story about the dangers that are lurking in the shadows. It's full of action, but it also shows how much the survivors of both camps care about one another. Every single book in this series has kept me on the edge of my seat. 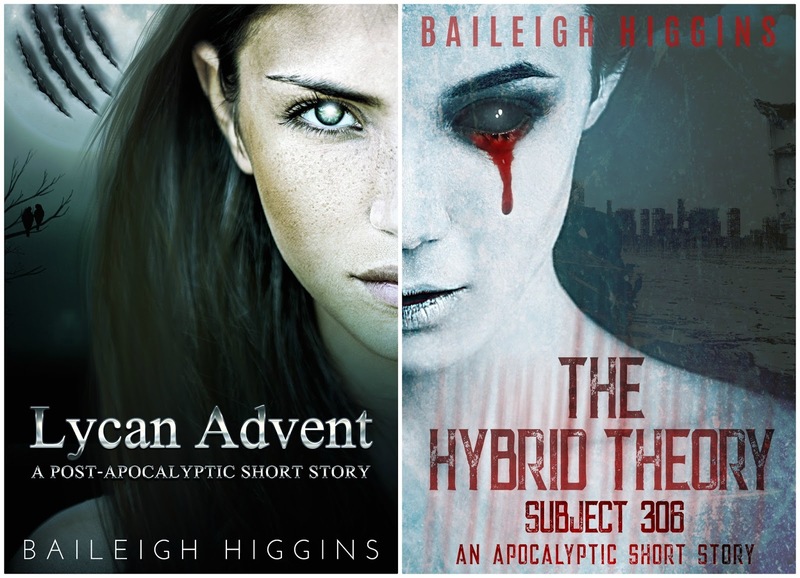 Baileigh Higgins writes with so much passion that the feelings of the main characters radiate off the pages. I've literally held my breath several times out of fear of what would happen next. 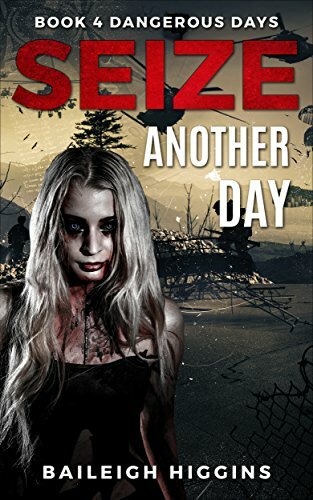 The Dangerous Days series is absolutely brilliant and is a definite must-read if you love to read zombie stories that will chill you to the bone. Max's camp is running out of much needed supplies and every nearby town has been picked clean. The team has to go out even further to get the things that will keep their camp safe. The brutal attack of Ke Tau and his men left them devastated and filled with grief over the people they lost. The fence has to be secured again and the walking dead seem to evolve. Every day when they check the moat they find it filled with zombies and more are still coming. Will they be able to make their place safe again? The camp's doctor is searching for a vaccine, so he can hopefully stop people from turning after they've been infected. During a meeting they're talking about possibly looking for a new camp because the survivors think it might be best to start again at a new place and leave the bad memories in the past. When strange things keep happening inside their walls it's obvious that someone is very eager to destroy their camp. What will be the best choice to survive? With the start of a new day humanity's last hope has been put in the hands of ordinary men and women, called to do extraordinary things. All of the survivors mean so much to me. After reading each book in the Dangerous Days series they feel like real people to me. I was reading about their struggles and the way they keep on going every day with chills going down my spine. If the zombie apocalypse would ever happen, I hope a group like this would take me an my family in. Seize Another Day is the chilling end of a phenomenal series. I love it that Baileigh Higgins doesn't leave any loose ends at the finale of her jaw dropping Dangerous Days series. The main characters of her Death's Children's series also make an appearance in this last book. Baileigh Higgins is wrapping up their story and tells more about where they are now as well. 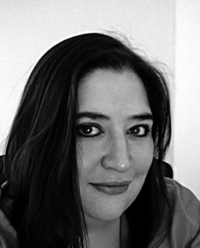 She is an experienced and skillful writer and knows how to make your heart skip a beat. The Dangerous Days series is definitely part of my all-time favorite zombie series top three. If you love the post-apocalyptic and zombie genre the Dangerous Days series is a series you don't want to miss. The books can't be read as standalones and they have to be read in chronological order. If you sign up for Baileigh Higgins's newsletter you will get Lycan Advent and The Hybrid Theory for free, plus you will be notified when she has a new release, promotion or giveaway. 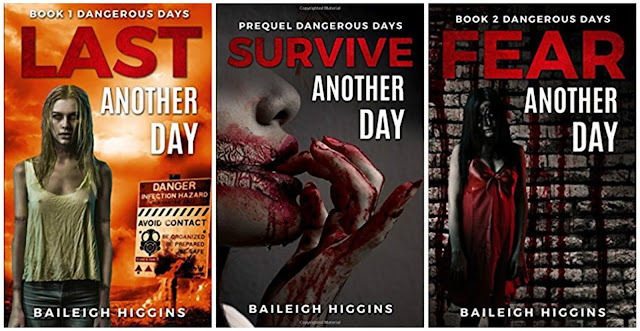 One very lucky reader of With Love for Books will receive digital copies of Last Another Day, Survive Another Day and Die Another Day by Baileigh Higgins. I'm a big fan of the zombie genre. Live Another Day & Seize Another Day sound like a new and unique approach. I love a good zombie story. These sound right up my alley. Terrific covers too! Right up my alley - a little creepy always goes down well lol! Scary covers! I love them! The books sound great! I hope I win! iJUST READ tHE gIRL wITH aLL tHE gIFTS AND LOVED IT, SO WANT TO READ MORE BOOK ALONG THOSE LINES. tHIS SOUNDS PERFECT. The covers alone look dangerous and so is the story, from the review. Thank you fir the review and giveaway. Good luck with your books. I absolutely love zombies and these books sound amazing, would love to win them for some great night time reading. Only just, well over the past 2 years, started reading zombie fiction as the old dodgy films put me off. Now realised just what I have been missing. This sounds a fantastic read and just look at the cover, that makes me want to pick it up and read it straight away. Agh! Those eyes! Sorry Suze, but it's very difficult to be positive when faced with those! How about I'm pretty positive I'll have nightmares? However, I do wish Baileigh all the best.